Voted Best of the Coast 2018; Best Day Spa, Best Massage, Best Massage Therapist, Best Esthetician, Best Massage Therapist – Runner-up. Pensacola’s finest massage therapy and skin care service provider, Escape Wellness Spa has won Best Massage for the tenth consecutive year! The recipients of this popular award are chosen yearly by the Pensacola community. Escape Wellness Spa is delighted to announce that they have recently been chosen as the recipient of InWeekly’s Best of the Coast 2018 for Best Massage. 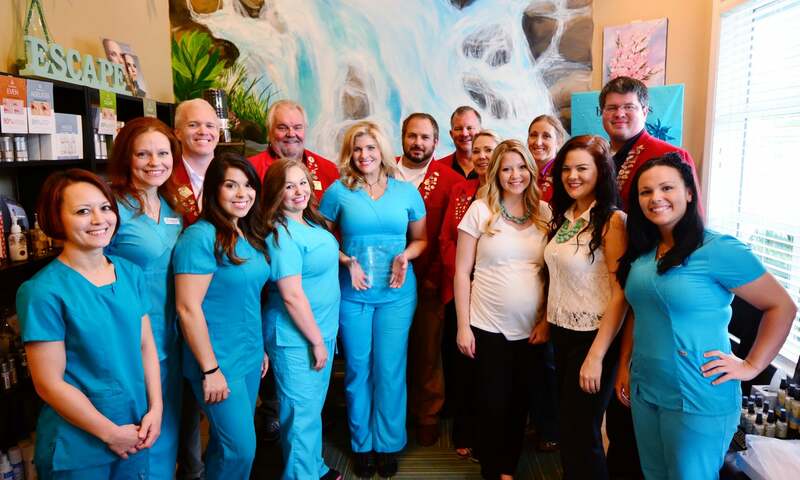 One of the most preferred Pensacola massage and skin care destinations in this region, Escape Wellness Spa has now won this award for ten years in a row. Also, the owner and founder of the spa Stephanie Knight has won the Best Massage Therapist award for the year. Escape Wellness Spa specializes in healthy and effective skincare solutions, healing and restorative massage, and beauty treatments targeted towards making people look and feel better, like Pensacola FL hair removal. By becoming a partner in their overall wellness, they help individuals lead a healthier lifestyle. All treatments offered by Escape Wellness Spa are tailored to meet the individual needs of their clients. The award winning massage service from Escape Wellness Spa is built around their team of licensed therapists that are extensively trained in a wide variety of disciplines from Thai Yoga and Swedish, to myoskeletal alignment, deep tissue, neuromuscular, and structural integration. Some of their most popular massage packages include Escape Wellness Package, Escape Signature Massage, Couples Signature Massage, Couples Specialty Massage, and Prenatal Massage. They also offer other luxurious upgrades such as Signature Luxe Massage, Watermelon-Basil Vodkatini Hand & Foot Scrub, Sweet Cream Hand & Foot Treatment, Anti-Aging Agave Nectar Massage, Honey Heel Glaze Hydration Treatment, and Dry Brushing Treatment. Escape Wellness Spa has won the “Best Small Business of the Month” for May 2014 by the Pensacola Chamber of Commerce. We appreciate the Chamber recognizing our hard work and community involvement. Enjoy an escape from everyday worries by spending the day rejuvenating yourself in the Spa.